When it comes to determining the exact weight for your product, it is essential that you find the scale with the greatest amount of accuracy to avoid guesswork and error. When your reputation depends on precision, finding a weighing system that you can rely on is key. We have rapidly become one of the leading manufacturers of industrial high tech weighing systems for every aspect of the manufacturing business. And when it comes to liquid weighing scales, it is difficult to find another company on par amongst the competition. With their highly calibrated precision scales designed for accuracy, we have created a range of liquid weighing systems and custom weighing kits for any industrial requirement. Whether you are involved with medical, laboratory, or commercial applications, there is a perfectly created scale to fit your needs. If you are looking for a weighing application for research, healthcare, or the handling of hazardous waste, liquids, or gasses, we understand your needs and can offer scales that not only determine the exact weight of your material, but also protect against possible leaks and spills. Made of stainless steel, each scale is designed not only for supreme accuracy, but also for durability and easy wipe-down, providing customers with the appropriate container for their product. No matter if you are weighing materials such as chlorine, medical waste, or other free flowing materials, we will accommodate you with a weighing device that is the correct model and size. From cylinders that hold extra large fluid quantities, to hanging and hook scales, every design is corrosion-resistant and made with state-of-the-art construction. To ensure that your scale is perfectly calibrated, whereby there is no margin for error, we have developed a cutting-edge automatic liquid dispensing tool. With its highly developed aggregate weighing system that uses sensors to determine even the most ephemeral weight, every scale is created to produce a perfectly exact measurement. When it comes to measuring small amounts of fluid, such as that created by compression of gasses, our liquid weighing scales incorporate ultra-precision sensors where flow rate is brilliantly controlled in order to measure how much liquid remains in the holding container. In this scenario, accurate measurement depends on the control of the liquid based on weight, where the sensors need to be able to determine how much liquid is escaping the holding container in order to calibrate the correct flow rate. When measuring and keeping track of gas tank contents during processing is of the utmost importance, accuracy also becomes synonymous with environmental responsibility. In this regard, we have become the number one selection by industries dealing with such elements as semiconductors and liquefied gas. In order to determine weight it is essential that each scale perfectly conform to its purpose. Knowing this, we have constructed specifically designed scales that are able to perform in a wide range of scenarios. One example of a scale created for specific use is for industries that handle gasses stored under pressure in liquefied form, such as chlorine. In this case, the material is held in drums, tanks, or pails that require cylinders to weigh them appropriately. Here the liquefied gas is released in quantities that allow a small amount of the fluid to boil off into gas. The weighing cylinder is made with a valve that allows the gas to be siphoned off into a specific area, whereby the remaining contents can stay in their liquid form until they are needed in order to repeat the process. To understand the flow rate for calibrating the quantity of gas in the tank, the measurement is determined by the change of weight that occurs within a fixed period of time. This weight then indicates when the tank will need to be refilled with gas. Our cylinder scales are created to handle a variety of different gas containers, whether they require a large platform for heavy tanks, or a small platform for more delicate situations. Whatever the situation, a crucial aspect of the weighing procedure depends on positioning the container on the weighing platform. Our scale construction is designed with precision rollers and edges that assist the incorporated load cells with greater accuracy. Where many conventional liquid weighing scales use only one load cell, these scales use several to prevent the wear and tear of the mechanical bearings that can lead to inaccurate readings. 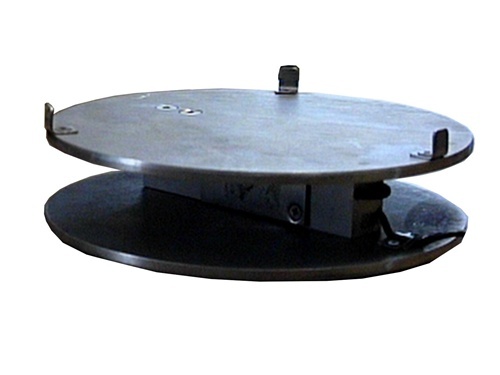 In the case of very large platforms, a load cell is placed in each corner to create a more durable environment while preventing damage to either the scale or the container. When it comes to floor, bench, or portable scales, our hermetically sealed load sensors are the high tech answer to error detection. Scales come with either analog or digital systems, both of which create precise analytical balance. Our wireless scales are made with weight recall features, self-contained nickel cadmium batteries, stainless steel switches, and an LCD display. This digital component assures that everyone operating the machine has the same reading, as the exact weight of the material is visible in clear number value, further eliminating the possibility for error. With the most delicate electronic calibration, the incorporated sensors are created with built in circuitry and a top access plate that accommodate varying weight capacities and platform sizes. These hypersensitive scales also incorporate acoustic wave technology that provides a high-resolution option up to 20 times as powerful as conventional models. Regardless of your need for a platform weighing system, high capacity scale, tote and spill containment scale, top loading balance, or a simple lab scale, we create conventional and custom scales for a wide variety of industries. With their advanced features, calibrating, blending, and proportioning the heaviest or the lightest liquid material becomes a matter of ease. For more information on liquid weighing scales for your industry, please visit: http://www.arlynscales.com.